Richard Howe Mansion Restoration - PRIME AE Group, Inc.
Relocated and Restored. An Architectural Relic Lives On. 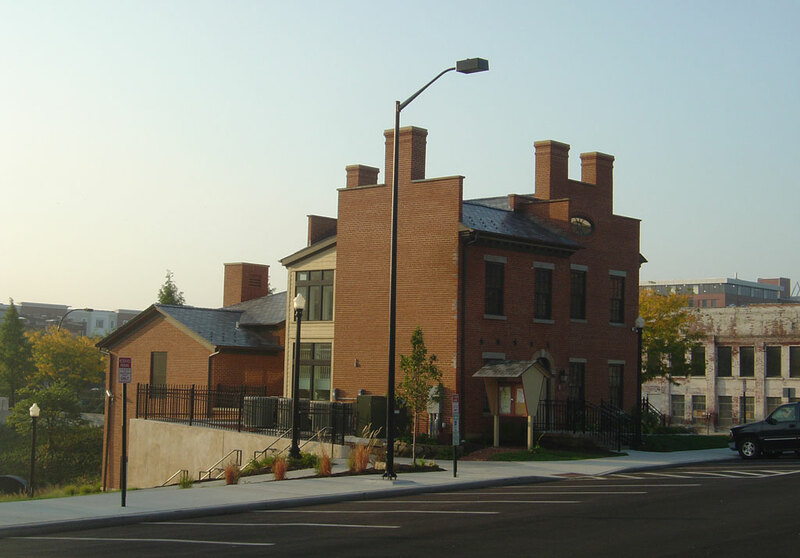 From the home of the Resident Engineer who directed the completion of the Ohio and Erie Canal to the visitor center it is today, the Richard “Howe Mansion” continues to live out its glory. 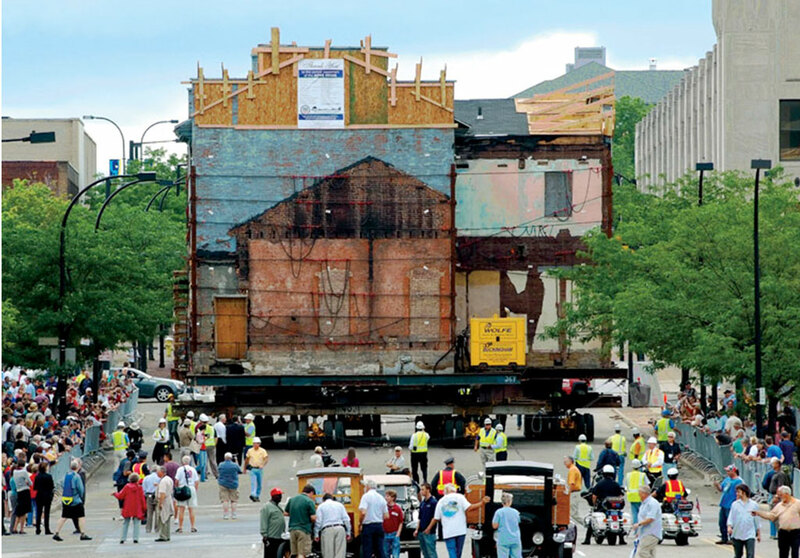 This community partnership project between the City of Akron and the Ohio and Erie Canalway Coalition relocated the 80-ton structure two blocks west on Exchange Street where it was restored and adapted for reuse. 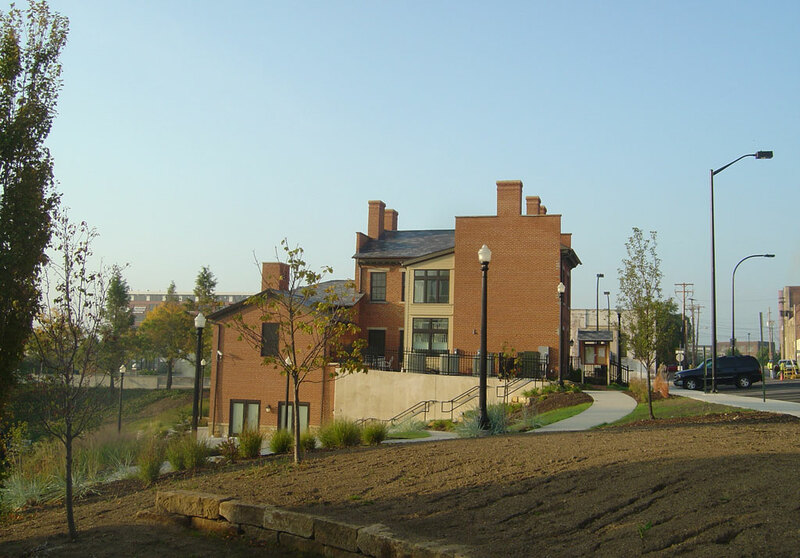 It now serves as a visitor information center for the Ohio & Erie Canalway National Heritage Area, a meeting center, and as offices for the Ohio & Erie Canalway Coalition. Built in 1836, it is one of only two federal style homes left in the city. 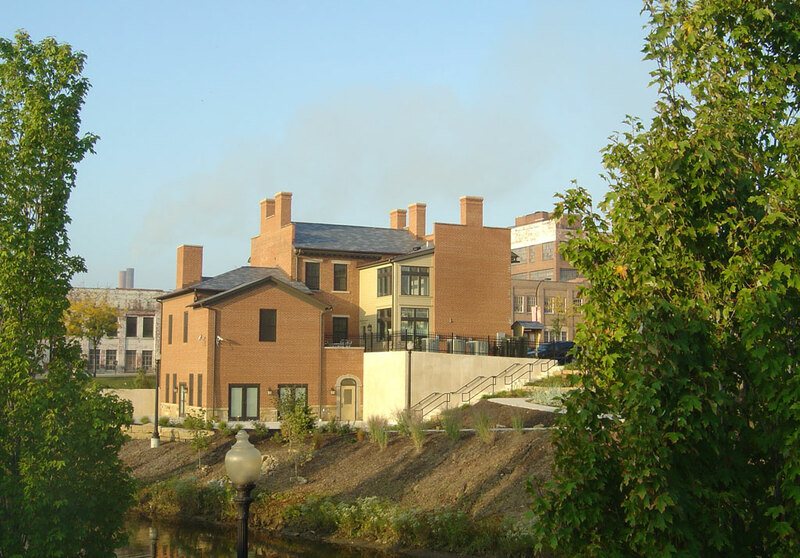 Restorations were completed in a manner consistent with construction technology of the period, returning the property to a point in time when the canal was significant to the growth of Northeast Ohio. Previous non-historic modifications were demolished, character defining features were preserved, and modern improvements introduced, allowing the building to return to productive use.